James Hurley - I am an avid fly fisherman which becomes evident in many of my creative endeavors. I currently have two fly fishing themed novels in print. 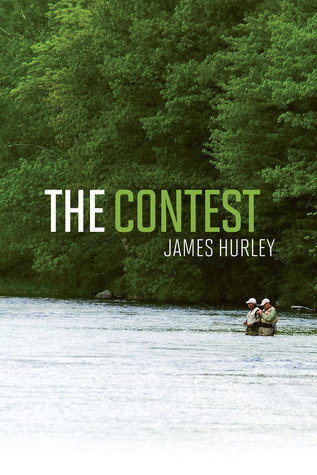 The Contest is a story about the wisdom of seeking perfection in life, played out through a contest to find the perfect trout fly. Spirit of the Sycamore, a historical novel set in the independent Republic of Vermont during the time of the American Revolution, follows colonial fly fisher Isaak Greenhart in his search for personal independence and truth. My articles, essays and sketches have appeared in numerous publications throughout New England and New York, as well as several national magazines including Flyfishing and Salmon Trout Steelheader.I have combined my love of art and fly fishing into a successful series of watercolors entitled “Trout with Flies”, which can be found in galleries and among many private collections. Some of these images have been reproduced (using a 5-color silkscreen process) onto a line of casual clothing.In my prior life, I was the owner and operator of the James Hurley Music Studio in Northampton, Massachusetts, where I taught guitar and fretted instruments for 37 years. I was also the classical guitar teacher at the Williston-Northampton School for over twenty of those years.